Keys were used long ago for safety protecting purposes. It’s used even now but the trend itself has changed by providing us with locks that can be access with your smartphones. As for keys are not nothing but a 20th century fame! However there are several best locks of 2017 that are easily installed and lets you control access to your home or any other places with your phone. Here are some of the details that you should go through before you purchase a lock of your own. A smart locks is the most important part for the safety of one’s guaranteed protection. 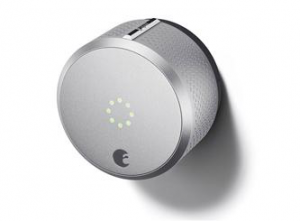 Not only does this smart lock grants you the access to come and go as you please, but it also comes along with a monitor which allows you to see of who is entering into your house while you are away. There are several types of locks, some of which allows you to use your phone to open or close the doors. Some however lets you assign special privileges to your friends, or other family members. Whereas there are others which can be used via voice commands or from other smart devices. Several best locks of 2017 are perfectly great for our personal purposes and more, here are the basic details you should note down to help you choose the best lock for your purpose. The very first thing to consider is the price. As to be certain of some prices vary due to the upgrade cost of the traditional lock that you are using. As known, smart locks costs a lot more than a standard lock which you can purchase from hardware stores. Yet a few smart locks can be found at those stores within the range of $100 however not many are spoken of due to its product quality. If you are looking to purchase a lock that has several features like accessing via smartphone, voice commands, push or email notifications then this would cost you about $200-$300. Some of the installation for locks are pretty complicated and difficult to install, but there are some that are easier to be installed than others. Some new locks come with both an interior escutcheon and an exterior component, which means you have to remove your old lock completely including the deadbolt and strike plate, before you can install the new device. However, the good news is that you don’t have to re-drill holes in order to fit your new locks, since the pre-drilled holes of your old lock can be used to fit in the new ones. Additionally there are several smart locks available that can be attached to the inner section of your door which are designed to use the old existing keyed cylinder and deadbolt hardware, this means you have to only remove the interior escutcheon. This would consume about 10 – 30 minutes to remove and replace with the new smart lock. Features however vary from each locks. Certain smart locks offers you a mobile app that allows you to access with a simple icon tap. Some other locks offers you a Web based application that allows you to control access via desktop, laptop or PC. Whereas most apps allows you to add either permanent or temporary users and set access schedules as per your requirements. If the lock is Bluetooth enabled, then you have to be within the range of 40 feet, to communicate with it. While locks built with built-in Wi-Fi can be controlled from almost anywhere as long as they are connected to your home Wi-Fi router. However, make sure your smart lock offers access for activity logs, which allows you to go through a list of who has entered or exited your home. 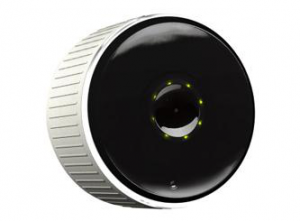 However the latest smart locks of Los Angeles offers features like voice activation, geofencing and auto-locking. With the use of voice activation it is rather easy to access to your door, as all what you have to do is tell your phone “unlock the front door”, and it will unlock the front door. With the use of geofencing you never have to worry if you forgot to lock your door, as you can use the mobile app to set up a perimeter around your house, and use the phones location to pinpoint your exact location. When you leave this perimeter the door auto locks after it has been unlocked for a specific period of time. Additional features includes keyless touchpads in case you do not have your phone nor your keys. Some of the top listed and best locks of Los Angeles are listed below. This is a Homekit enabled lock, which keeps track of who is entering or exiting your home with the use of your smartphone. It is easy to install, as only a snap is required to install it. Along with all this, if offers the latest features and technologies including voice activation, geofencing and IFTTT Channel which allows to trigger the other devices. All of which we have explained in brief above. Easy to install, voice activation, geofencing and IFTTT support along with sleek design. It is a bit overpriced. Requires additional component to control the lock remotely. This is a lock featured for iOS users. The Schlage sense is a blue-tooth enabled touch-screen lock that you can control with your iOS device. It is a single cylinder shaped deadbolt with a large illuminated keypad along with a built-in tamper alarm, and a low battery alert. It can be programmed either manually or with a user-friendly app that makes it easy to add users and access codes. It only works with iPod, iPads, or iPhones. Easy to install, and user-friendly application. Built in tamper alarm along with Siri voice control. It is not budget friendly. Only works with iOS devices and requires an Apply TV for remote control purposes. 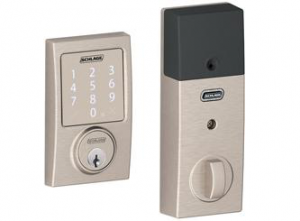 The Poly-Control Danalock V2 BT is an attractive and easy to install smart door lock. It also allows you to monitor and control the lock via smartphone. The lock retains the polished look of its predecessor and is a snap to install. However it does not support voice activation. Easy to install, supports numerous wireless protocols. Stylish and quick app response. Is known to be one of the Best Locksmith Los Angeles. This company has been in business since 2002. Our service the greater Los Angeles County for auto, residential and commercial needs. It could be of any type, such as car lockout, a rekey, repairing a lock, making new keys, opening a safe, changing safe combinations and more. We are also to be reasonable in price. We have proven to have experience in over 15 years serving the greater Los Angeles. We also tend to work fast and are reliably professional in their working style. Also we are up to date with all the latest technologies consistently. Moreover they are a bonded and insured company with fully licensed and insured for your protection. What does a locksmith offer?